Ha! Loved the photo that a Facebook friend posted of this cute lil duck on Clearwater pier, looks like he want to hop on the pink float. 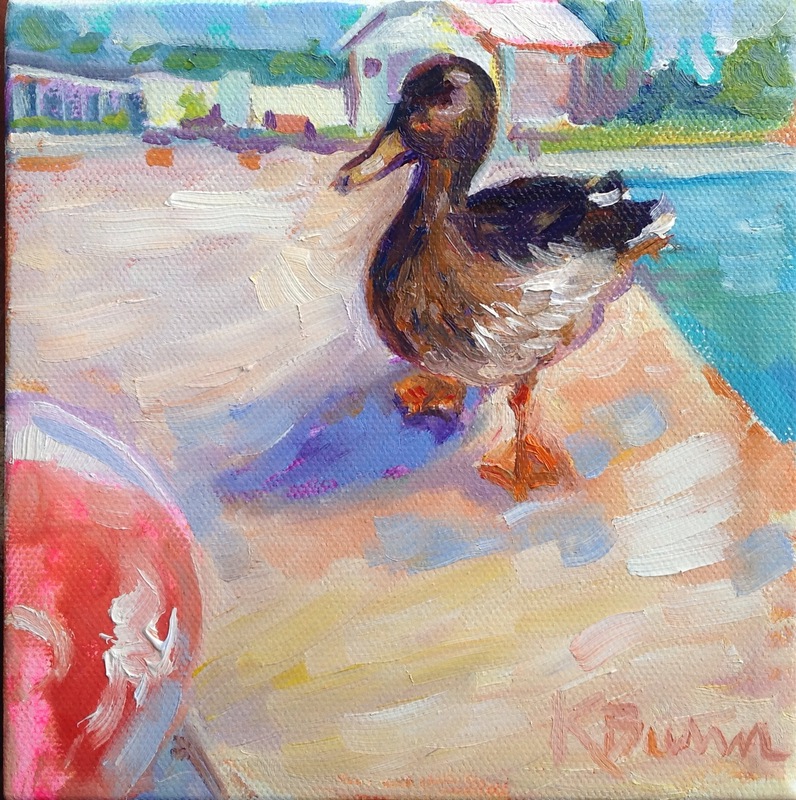 Had fun painting this lil ducky.